Chameleon Color Tones Pens creates 3D effects with just one pen. Shade, highlight, blend, and color from light to dark with the various colors that can change tone. It's not just colored pens as the collection of 22 main colors produces over 100 color tones. Those other colored pens do have a variety of colors such as light yellow, yellow, and dark yellow. What if you can switch the tone without changing the pen? For each one of the 22 vibrant colors of Chameleon Color Tones Pens there is a way to get to shade the way that you want, a hint of a tint or the deepest tone. One example is if you want to color a yellow rose. Not all the yellow in the rose is the same kind of yellow as in some parts it is lighter and the other parts are darker. This changing of tones is what you can achieve with Chameleon Color Tones Pens without changing the pen. Chameleon Color Tones Pens contains permanent alcohol ink. It is refillable. There are two tips on each end of the pen. One end has sharp tip and these is the Japanese supersoft brush nib while at the other end there is the Japanese bullet nib which has a flat angle. These tips are replaceble. 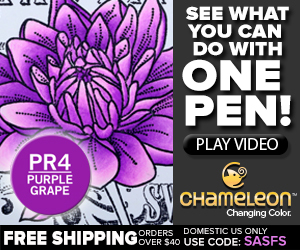 Chameleon Color Tones Pens are used by artists like Sonia Leong who is a professional Anime/Manga artist. This is what she said about these colored pens, "Rounded highlights, soft shadows and bright colours blending into each other... it's great to have pens which can do this!" Enjoy the ease of placing the depth, dimension, highlight, and shading seamlessly in to the art that you make. It's the professional colored pens that has the solutions as with these, you get to reduce the clutter, never run out of ink or have to deal with a tip that has been worn down by use with the Chameleon Color Tones Pens. Have you used the Chameleon Color Tones Pens? Share your review!